Description LOW PRICE but still the HIGHEST QUALITY! Offers replacement batteries that meet or exceed original OEM specifications. Our selection includes only inspiron 1525 batteries that are manufactured with the highest quality lithium cells from top name manufacturers. We also offer A 30-Day Money Back Guarantee and 1 Year Warranty for every new Dell Inspiron 1525 Battery. Buy with confidence! Note: These are quality made hi-capacity Li-ion laptop batteries using high quality Japanese lithium cells. The replacement battery for inspiron 1525 generally last between 300-500 charge/discharge cycles. Code Dell:312-0625, 312-0626, 312-0633, 312-0634, 312-0763, 312-0844, 451-10478, 451-10533, 451-10534, C601H, D608H, GP952, GW240, HP297, M911G, RN873, RU586, XR693. Laptop Models Dell inspiron 1525 Battery , Dell inspiron 1526 Battery , Dell inspiron 1545 Battery . 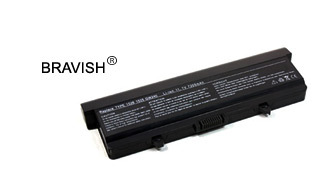 - 100% compatible with OEM Inspiron 1525 battery. - Order your Dell inspiron 1525 Battery Replacement before 2:30PM and we will ship it on the next day. Properly "condition" the dell inspiron 1525 when it is new. Keep the battery clean.Avoid exposing the battery to extreme heat or cold. Use your dell inspiron 1525 notebook batteries. If possible, avoid letting your battery sit dormant for long periods of time. Charge Your Dell Inspiron 1525 Battery Properly, fully charging and then fully discharging it at least once every two to three weeks.When you prepare to charge for your battery ,make sure the temperature is around the room temperature. With lithium-ion batteries, partial charges and discharges are best on a regular basis. These batteries do not suffer from the memory effect. As time goes by, you will need to recharge your dell inspiron 1525 laptop battery more often. When the computer battery life is about 25 percent of its original level, get a new dell inspiron 1525 battery.